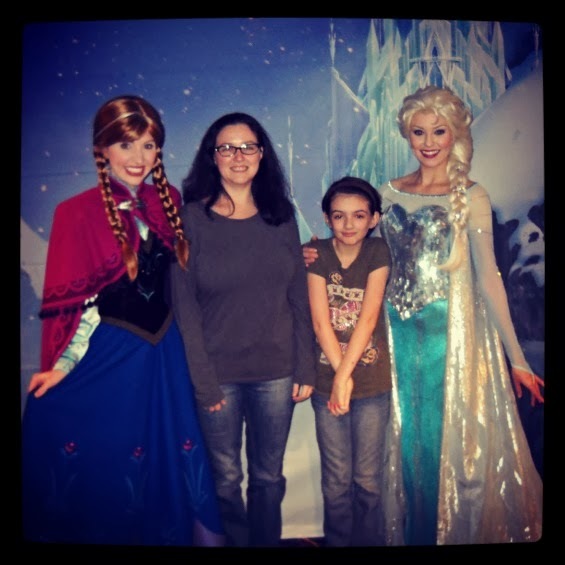 We have been huge Frozen fans since the day we saw the movie and met Anna and Elsa. 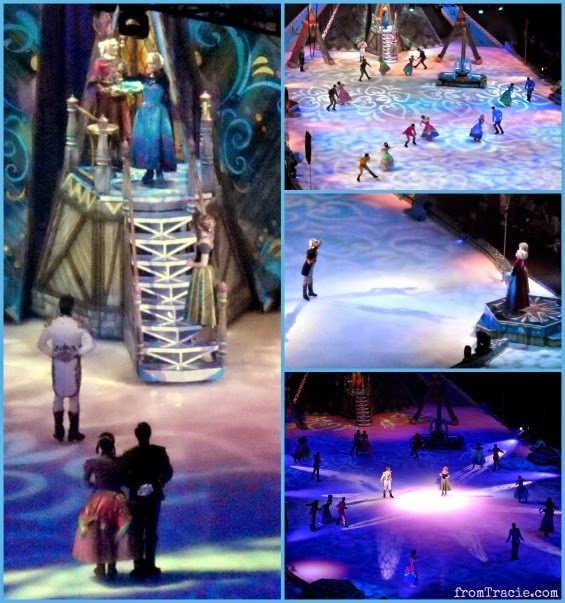 When Disney On Ice announced Frozen On Ice would be opening in Orlando in 2014, we had to go see it. We've never seen any of the Disney on Ice shows in person. But Frozen? Frozen On Ice? It just made sense. The show started with the original Disney characters - Mickey and Minnie - who were joined by more Disney favorites like Snow White, Rapunzel, Cinderella, and Ariel with their princes, Buzz and Woody from Toy Story, Nemo and his dad, Dori, and more. They introduced the story of Frozen, how it is all about love, and then talked about how love is portrayed in each of their stories. After the classic Disney characters left, it was time for Frozen. 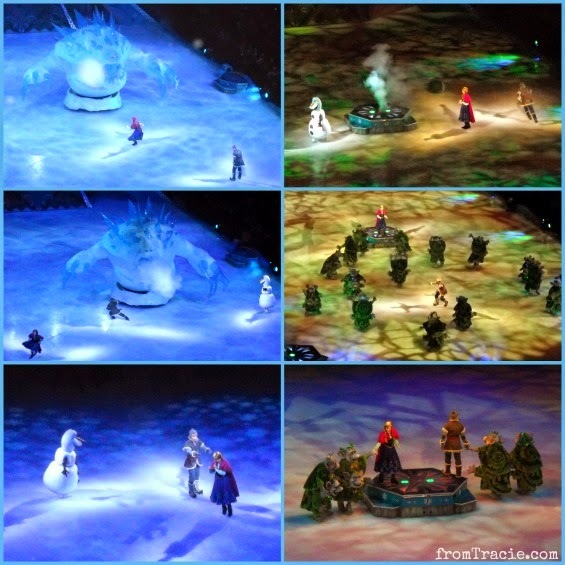 Frozen On Ice starts out with the characters as children, just like the movie. Everyone aww-ed when baby Sven made his appearance. After Elsa and Anna built a snowman, giving us our first glimpse of Olaf, Anna was struck in the head with Elsa's ice power, and taken to the trolls. 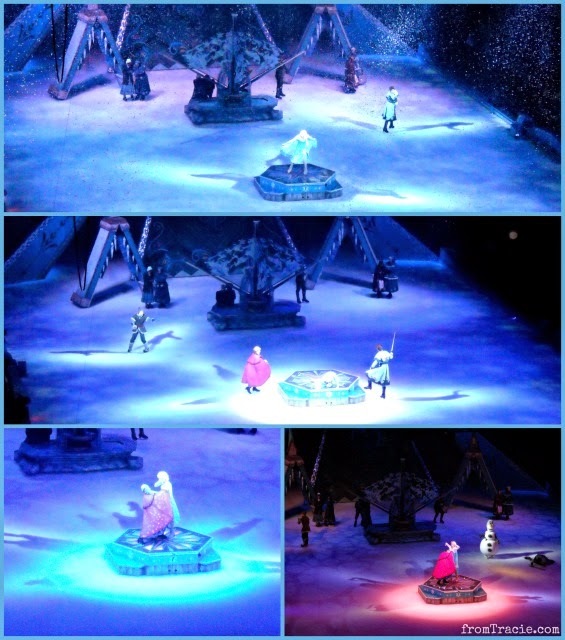 Being a live performance, and not an animated movie, there were small changes to the story, but they were careful to include all the important parts. A clever exchange of the child-Anna and grown-up-Anna happened during "Do You Want To Build A Snowman?" and any doubts I had that this was going to be awesome were immediately erased like Anna's memories of Elsa's ice power. When we saw Anna next, it was coronation day, and she was ready to celebrate the opening of the gates. And maybe, just maybe, meet someone special. This is when we were introduced to Hans, and got to sing along with "Love Is An Open Door." Don't judge. I guarantee we were not the only people singing along to all the songs. We got our first look at grown-up Elsa when she appeared for her coronation. Standing on the tower,Elsa removed her gloves just long enough to complete the ceremony, and quickly replaced them while Anna looked on from below. The coronation and following party were beautiful. The guests had amazing costumes and skating moves. Eventually Elsa made her way off the platform, to stand with Anna. After a dance with the Duke of Weselton (just as funny on ice as it was in the movie), Anna reunites with her new love, Hans. You know how this turns out, right? Hans and Anna ask Queen Elsa's permission to be married, to which Elsa replies, "You can't marry a man you just met!" An argument ensues, and Elsa's magic is revealed as she accidentally freezes the fountain in front of all the coronation guests and townspeople. They really captured the magic when Elsa transformed the fountain to ice. 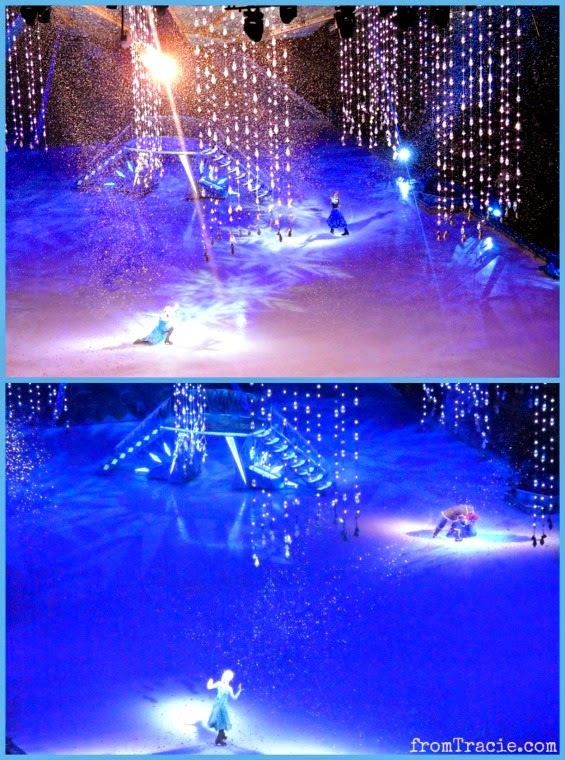 You could hear the excited voices of children as they noticed snow falling on stage and throughout the arena. 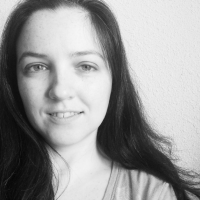 It was probably my imagination triggered by being so into the story, but I felt a little bit colder, too. There was some reorganization of the story as we skipped Wandering Oaken's Trading Post to have Anna meet Kristoff and Sven in the woods. But they didn't skip the wolves, or one of my favorite parts of the movie when Kristoff comments on Anna's engagement story by telling her he doesn't trust her judgement, and asking, "You got engaged to someone you just met that day? Didn't your parents ever warn you about strangers?" As Elsa entered and started to sing, you could feel her loneliness, and her building strength. When she removed the heavy cape to unveil her iconic blue dress, a cheer went through the crowd. It was a powerful moment. As we were waiting for the show to begin, Katarina asked how they were going to build an ice castle. It was something I wondered, too. While an entire castle wasn't built (obviously) what they did with the lights, smoke, pyrotechnics, and snow flurries, was pretty amazing. 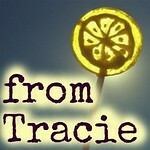 It was much better than I imagined it would be. 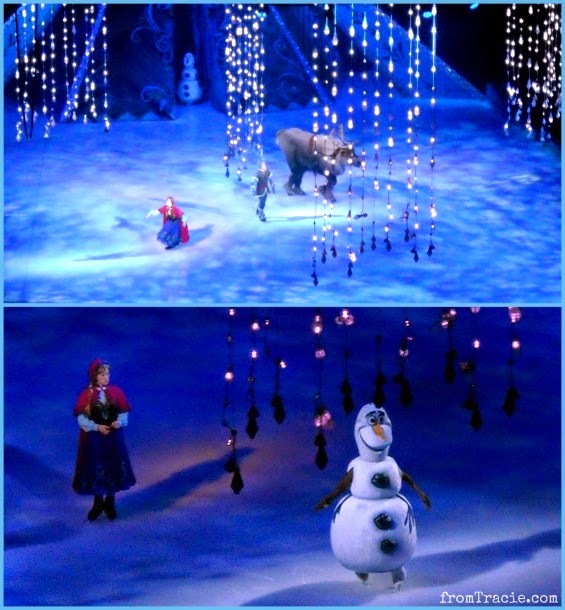 Then Anna, Kristoff, and Sven returned, and we finally got to see life-sized Olaf! They even recreated the head-tossing scene from the movie. And Olaf finally got to share his secret wish for summer with someone. After the break for summer, Anna and her companions arrive at Elsa's ice castle, where she is less than excited to see them. This was the moment where the special effects and magic really showed up. As Elsa tries to get Anna to leave, she loses control, and hits Anna in the heart with her ice power. Once again the flurries and lights were spectacular, and made it all feel very real. Elsa sent Marshmallow to scare them away from her castle. It was then that Kristoff and noticed Anna's hair turning white, and took her to see his friends, "the love experts," who were actually the trolls she visited when she was a young child. Grand Pabbie Troll explains that it will take an act of true love to thaw her heart. They immediately set off for Arendelle so Hans can give her a true love's kiss. But it isn't to be. Hans never loved her, and instead of kissing her, he leaves her for dead and sets off to kill Elsa so he can take over rule of Arendelle. Hans is thwarted in his plans. Anna sees him heading towards Elsa, and instead of running to Kristoff so he can save her with true love's kiss, she runs to save her sister. This act of true love saves not only Elsa, but Anna as well. Better than any true love's kiss. And Hans is sent off to be imprisoned in his country (after Anna lands a well-placed punch). Elsa thaws Arendelle, giving Olaf his own personal flurry so he won't melt. Anna replaces Kristoff's sled. And they all live happily ever after. 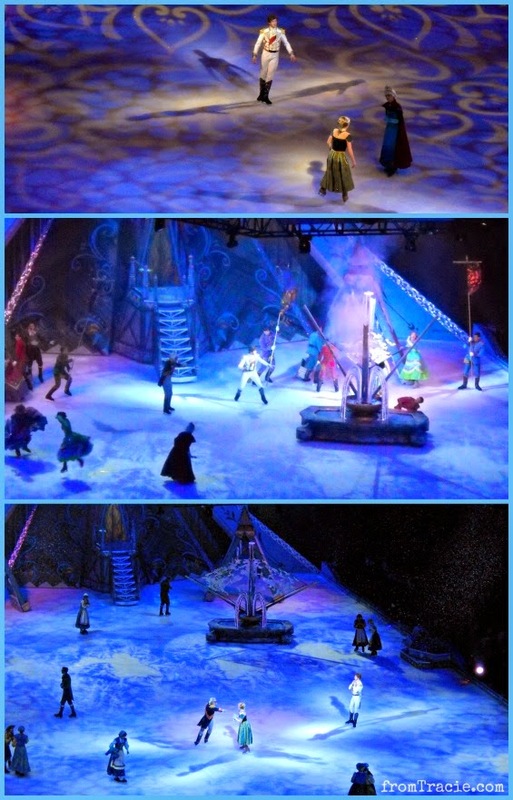 At the end of the show, the classic Disney characters returned for a final ice dance with the Frozen characters. It was awesome. I took more than 100 pictures, and that isn't even counting the pictures Thomas took. They weren't at all spectacular with the spot lighting and distance. And they didn't capture the spins, flips (yes, flips! ), and other ice skating magic that was happening. So, trust me when I tell you, you need to see this in person. It is totally worth it. My pictures here don't do it justice, and you will be amazed at how magical and special it will be. 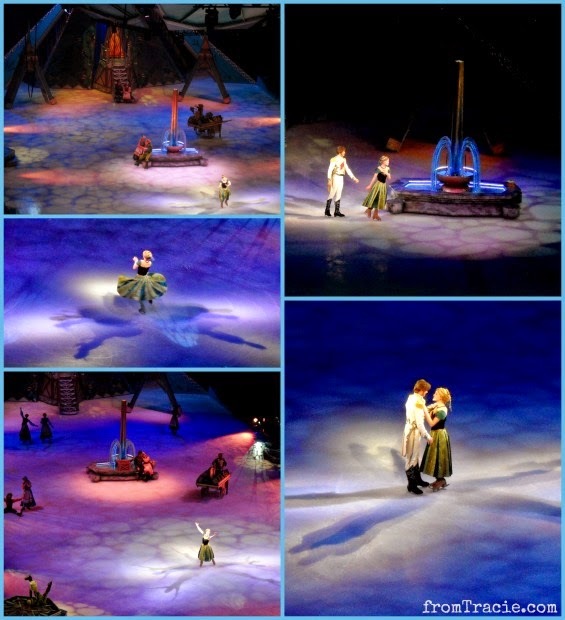 Have you seen any Disney On Ice productions? This one was was amazing, so now I'm totally hooked, and wondering which one we should see next. I'm so disappointed because it's coming somewhat near here this weekend, but we'll be in NJ for my sister's bridal shower. Boo! It looks wonderful. I only saw the movie once in the theater. Even though Scarlet has seen it 100 times since. I only like to see movies once. Well yesterday I sat and watched it again. The end is so happy I cried! How fun! My boys love Olaf (and so do I)! This looks like s great show. I'm sure it's going to be a huge hit, given the enormous success of the movie! Wow that is exciting. Looks like a wonderful show. 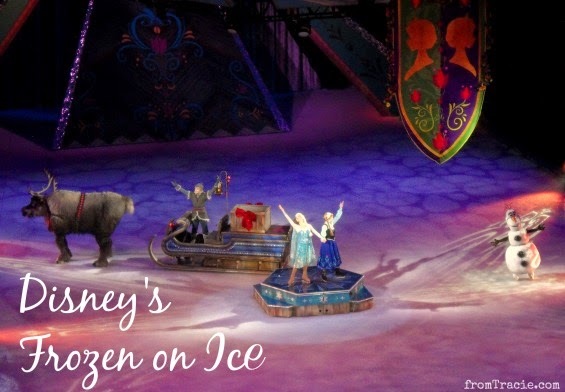 We've only been to Disney on Ice once and my kids loved it! I am sure Frozen would be amazing! 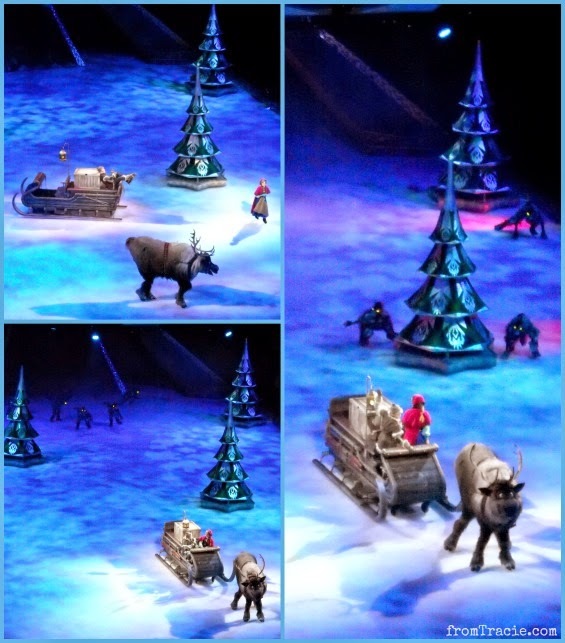 I have never taken my kids to any Disney on Ice shows but this looks great. I hope it comes to our city. 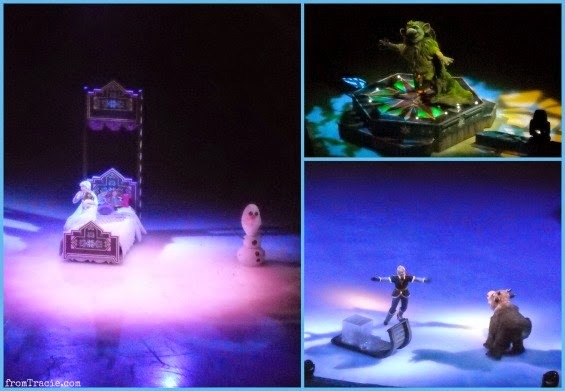 We love Disney On Ice productions and have attended quite a few! 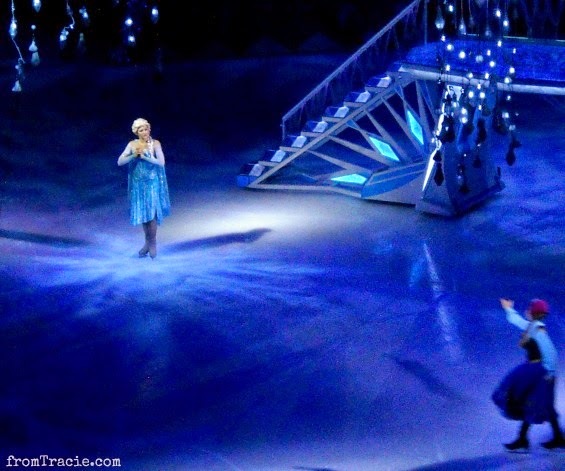 We're definitely looking forward to Frozen On Ice which is coming to our area in November! Thanks for sharing this. I have a Frozen fan in our house and debated on taking her to this. Oh my goodness my daughter would flip out! I so need to see if this is coming near me so I can take her. Forget my daughters...I would flip out! I have never been to disney on ice but would go in a heartbeat. This looks super fun! 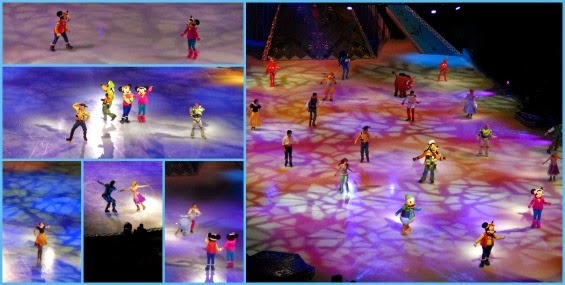 I would love to go see a Disney show on ice! I think it would be super fun! This looks like so much fun! I'd go see this even without the kids. This would have been so fun to attend. You caught some great photos too. Yay! We have tickets to see this in November and I know my kids are going to go CRAZY! Great pictures! I've seen about a half dozen Disney on Ice shows and none of them have disappointed. They're so entertaining! We can't wait to go here int Tampa! 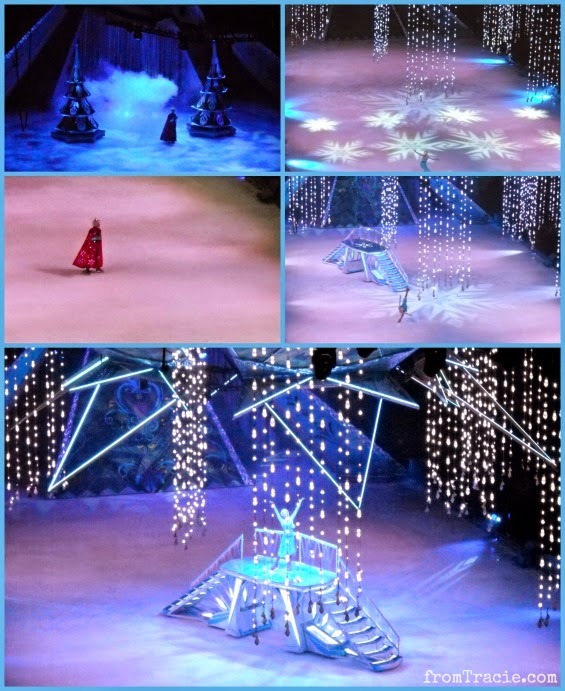 I love everything Frozen, and it seems natural that it would become a Disney On Ice show! It sounds fantastic! 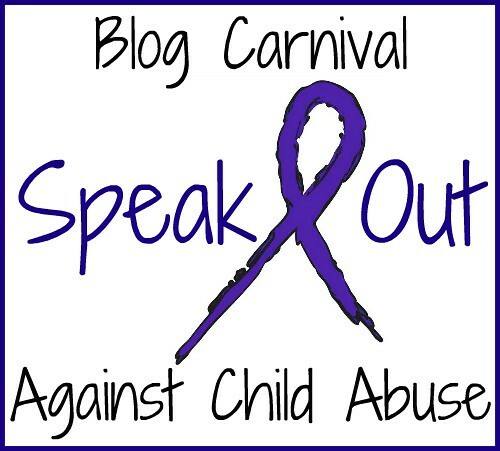 This is coming to my area, and I really want to take my son! I just have to convince my husband. I'm sure it's wonderful! Sometimes I wish my kids were younger or that I had a little girl to enjoy this with. 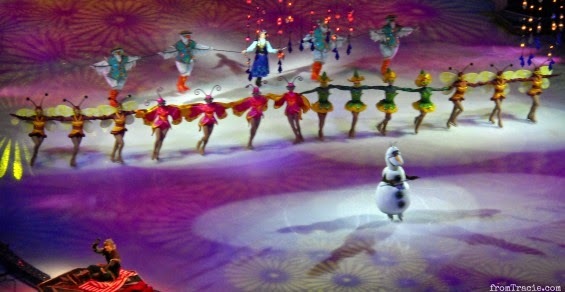 I love Disney on Ice - I will keep on the lookout for their tour dates for Milwaukee. This seems like such a good idea. Frozen has been such a popular movie. This show seems like it would be so very fun to see with my girls.